This sentimental favorite was the first Disney attraction to use Audio-animatronics exclusively. It originally opened in Disneyland in 1963 as The Enchanted Tiki Room - Tropical Serenade. The show has gone through a few changes over the years. The much-loved original version was replaced in 1998 by The Enchanted Tiki Room- Under New Management. The "new" part was the addition of Zazu from The Lion King and Iago from Aladdin. Fans were not pleased with the re-do and in 2011, the show re-opened with the original format, complete with hosts Jose, Fritz, Michael and Pierre. The show takes place in a tropical pavilion full of flowers, tikis and audio-animatronic birds singing and telling jokes. There's even a tropical storm during the performance. Handicapped Accessibility: This attraction is wheelchair accessible. For guests requiring assistance with hearing, assistive listening devices to amplify the sound are available from Guest Services. 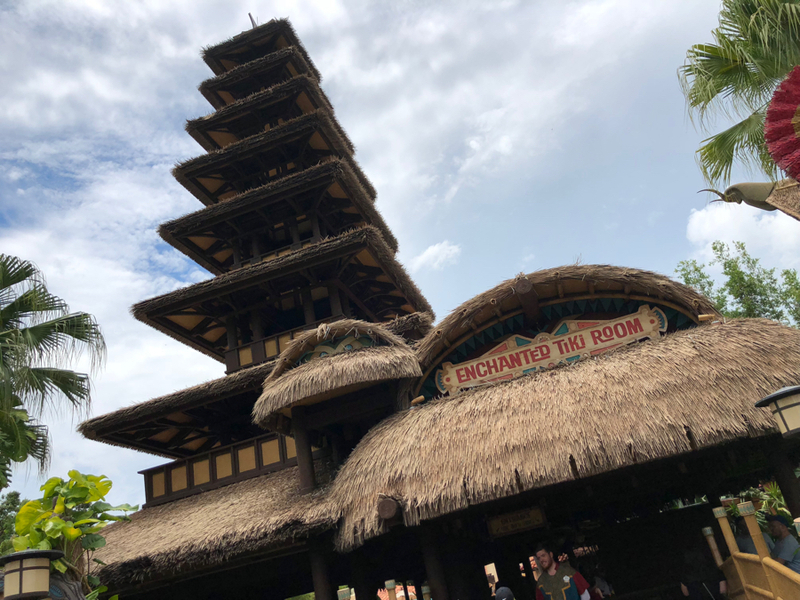 Fun Fact: The original plan for the Tiki Room was to have it as a Disney restaurant, not an attraction.